LAS VEGAS – Beau Schueth has had some big wins in his bullfighting career, but none bigger than his Bullfighters Only Roughy Cup victory on Thursday afternoon at the Tropicana Las Vegas. With his victory, he became the first man in 18 years to win the Wrangler Bullfight Tour championship. The tour, which initially wrapped after the 2001 season, returned with the BFO in 2018. Schueth won his opening round, getting the better of Costa Fighting Bulls’ Stone Cold for 83 points to kick off the 10-day Las Vegas Championship. That earned him the right to compete in the Hooey Championship Round, where he was bested Justin Josey of Apache, Okla., and Weston Rutkowski, the two-time defending world champion from Haskell, Texas. “Words can’t describe it,” said Schueth, who missed the competition in Sin City a year ago because of injury. “It just means that much more to come back this year and win the first event. 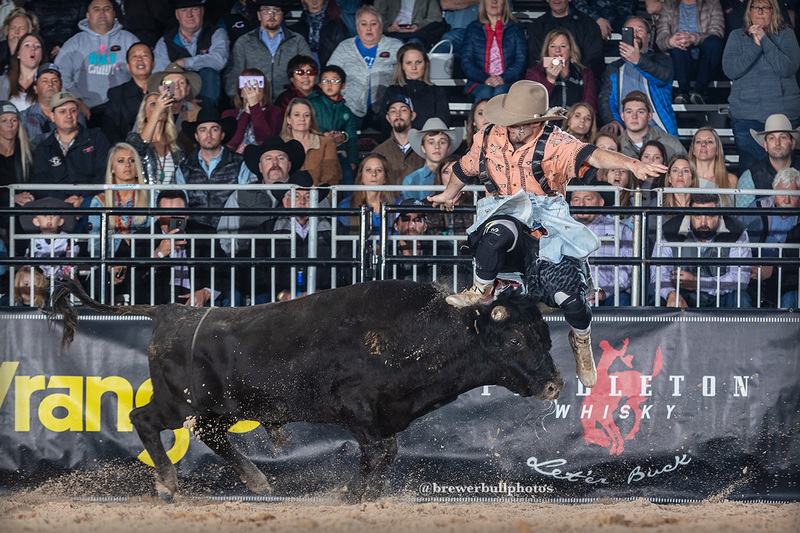 In the final round, he matched moves with Costa’s Little Foot, a stout, little one-horned bull that has been considered one of the best in the BFO for two years. By the time their dance and the dirt came to an end, Schueth walked out with an 89.5-point fight and the victory. Josey, who was pushed around by Costa’s Spitfire, finished second with 85, while Rutkowski was forced to disqualify after taking a shot from Costa’s Sid Vicious, the 2017 BFO Bull of the Year. With the victory, he pocketed $6,000 and moved up to second in the Pendleton Whisky World Standings. He is just $6,300 behind the leader, Rutkowski. “Manuel Costa brought his whole A team today, so to get out of here with the win and get past two tough bulls helps my confidence a lot,” Schueth said.